Free Wireframe Tools for Web Designers & Developers! Scribbles, wireframes or mockups – no matter how you call them – they are one of the first things during the conception and design process. Bringing your ideas to life means showing customers how your solution “can look like”. Although most of us are pretty affine to digital media, we love taking notes and scribbles on real paper. And that’s OK. There are great solutions out there for saving these notes. Evernote for example offers you an easy possibility to save your ideas in your digital notepad. After having clarified the first aims and ideas, you or your designers start to think about possible prototypes and scribbles. It not any easy task to bring static ideas/layouts (you collected first) to real life and complete them with rich media. In order to make great websites most of us take advantage of mockup tools to create, analyse and discuss layouts, designs and features. Making use of these tools is definitely a wise move – especially since it will help you to focus on the real aim of your website. 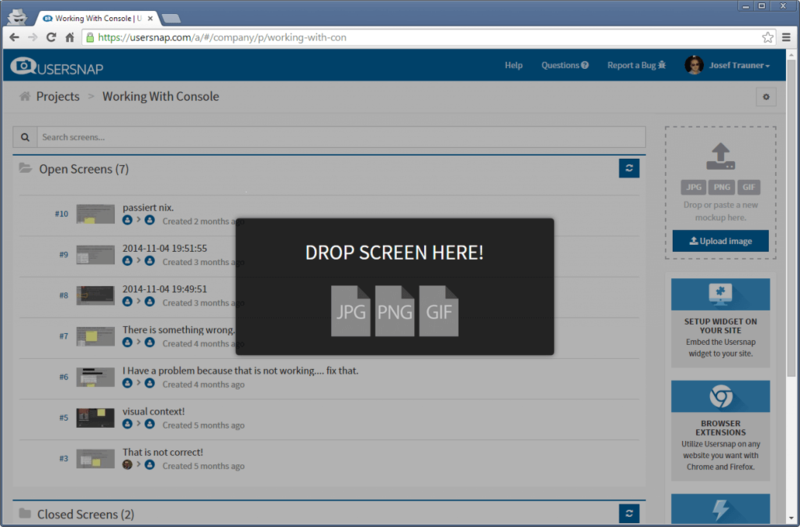 And the great thing is: You can install the Usersnap feedback widget for giving feedback on mockups in Axure. Here’s how it works. 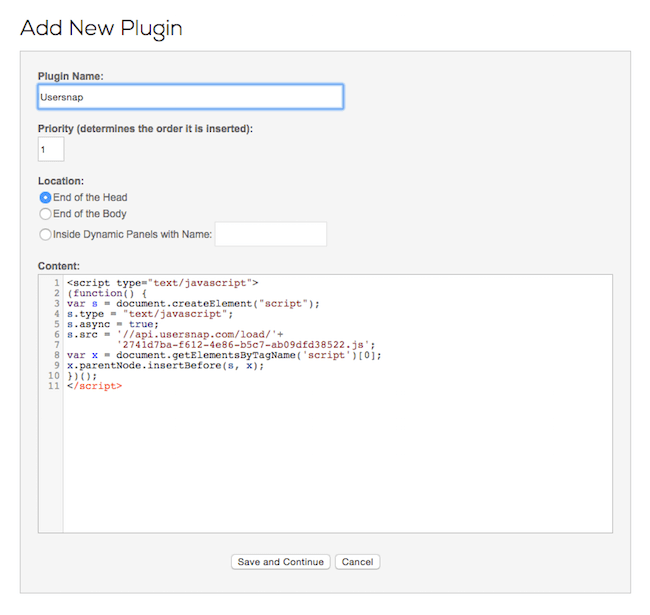 Simply select the pages which you’d like to add Usersnap to. We recommend choosing all pages to ensure that co-workers can add feedback on all your pages. What’s your next step after creating the mockups with the tool of your choice? Right, you probably send out a link via email to you co-workers asking for feedback. Well, we’ve been there too. Until we created Usersnap. 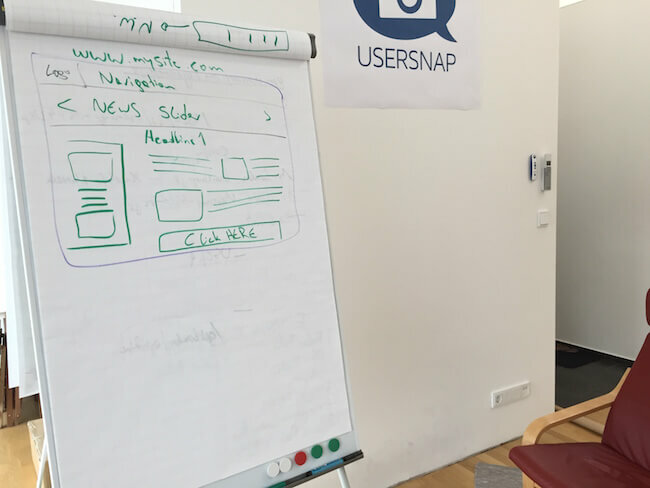 Usersnap is great for discussing mockups and design drafts. By uploading your mockups and design drafts to Usersnap you can discuss design drafts faster and find the perfect design draft together – without endless email threads. After you’ve uploaded the screen to the Usersnap dashboard directly or with the Chrome or Firefox extension you can invite your co-workers to start discussing your mockups. 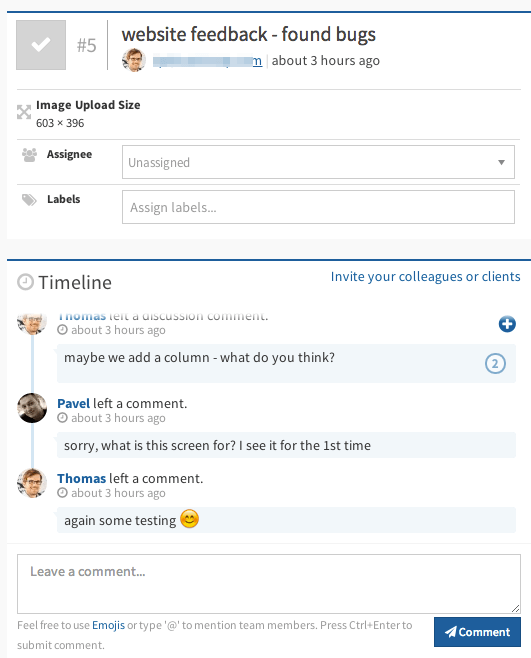 The Usersnap dashboard allows you to ask your co-workers if something needs to be clarified. Get the needed information directly at one place. And the great thing, after you concluded on one final design draft, you can use the existing tools for your web development process as well.